Western Australia’s Energy Minister, Peter Collier, has released a discussion paper entitled Strategic Energy Initiative 2030 to provide direction for addressing the energy challenges facing Western Australia over the next two decades. Mr Collier said it would address key areas of security and reliability, a cleaner energy future, infrastructure, energy supply and demand, regional and remote energy, and markets and regulation. It would also look at accommodating higher levels of what it terms "intermittent" renewable energy, such as wind energy and solar power, into Western Australia’s main electricity grid. "This will include delivering a cleaner energy future through the development of renewable energy supplies, while meeting our commitment to the national target of 20 per cent renewable energy by 2020," the Minister said. "There are unique circumstances in WA due to the expanse of the State and that needs to be taken into consideration as we develop a strategic energy direction and work towards the 2020 target." Western Australia will be one of the last states to implement a solar feed in tariff, a system whereby owners of home solar power systems are paid a premium for electricity produced. 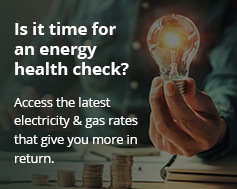 After previously announcing a rate of $0.60 per kilowatt hour based on a gross model starting some time in 2009, the Western Australian government back flipped in June 2009 and said it will be instead introducing a net feed in tariff model, which only pays for surplus electricity exported to the mains grid. The Western Australian Government is still seeking comment from interested parties on the preferred design parameters of the new tariff scheme. Submissions must be provided by 5.00pm 20 November 2009. A copy of the Strategic Energy Initiative is available on the Office of Energy web site. The first public consultation period closes February 2010.